I got this DT piece made by the skin of my teeth. This is for Fashionable Stamping Challenges who this week want to see anything that has a coffee and cream and even a hint of chocolate for a focus. Don't forget anything goes as long as you follow the challenge theme and include some stamping on it (sorry digis are not allowed). 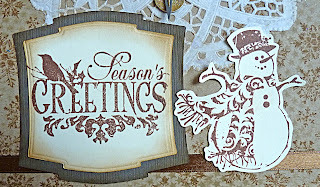 My large stamps are both from the Inkadinkado Xmas Ornate clear set and the snowflake background I stamped using Reindeer Flight and Mini Holidays by Tim Holtz. 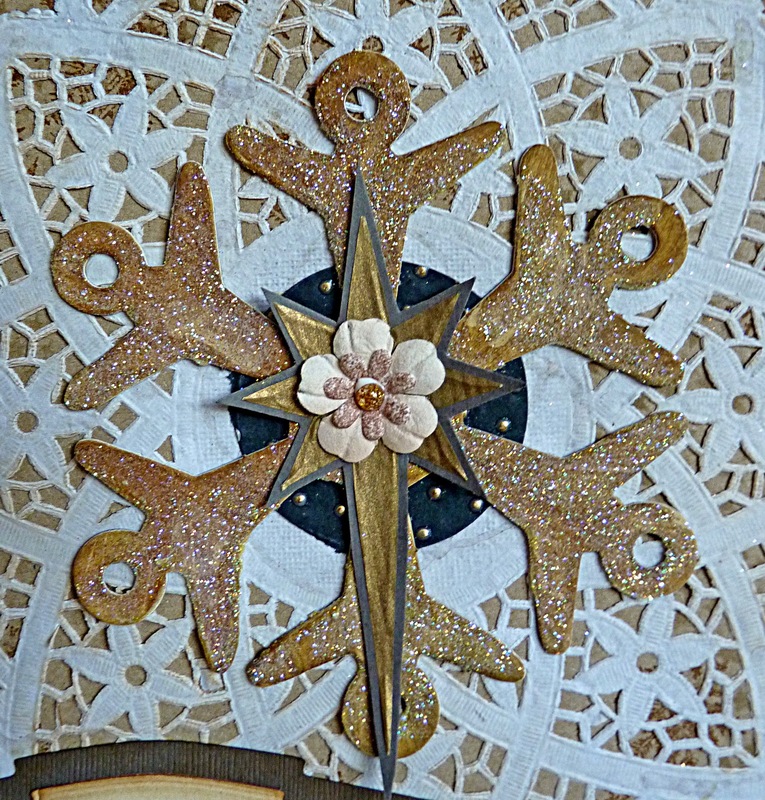 The large snowflake is a Woodware die-cut chipboard shape covered with distress stain and glitter and I added a star, flower, glintz, doiley and ribbon from my stash. I also used Nestabilities Labels Two for the greeting. Want to know what the brown bag looked like before I altered it? Hope you will come and join us at FSC and please go take a look at what the amazing Stampettes have made to inspire you. I am on half term now, although I have to go into school on Monday and I am teaching a class at The Art of Craft on Wednesday. So Ken and I have booked into a nice hotel in Swanage for a long weekend from Thursday. I just feel I need it after the Ofsted inspection at school. Take care and thank you for stopping by to take a look at my work today. Moving Along With The Times - Vintage. Winter Wonderland - A vintage Christmas. Totally Gorjuss - Pastel Christmas. - I hope this counts! Secret Crafter - Wrap up warm. One Stop Craft - No designer paper. Lili of the Valley - Bingo - mine is ribbon, flower, gem. PanPastels Challenge - Glitter and Glitz. Another surprise attack! Thought I had missed a couple at the group! Love the altered bag, so much! 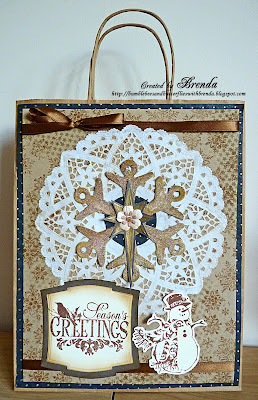 The brown tones give such a beautiful vintage feel along with the doily! So lovely! What a lovely altered bag Brenda...beautiful colours and details...enjoy your week and especially your long weekend off!!!! An absolutely gorgeous bag Brenda. Love the background with the images and the colours are just perfect for a plain brown paper bag. Fab recycling. Hope your class goes well and wish I could be there. A Brilliant bag Brenda, just perfect for pressies, looking forward to Wednesday. This is just stunning hun, just love the images you have used! so so fabulous and creative!!! I love the sepia colour tones!!! and fab recycling!! I have a couple of gift bags with shop logo's on that I have kept aside to have a play with at a future date, you have meade me want to dig them out and have a play! I had to lol as I have such a bag beside me awaiting my attention! Gorgeous use of the challenge colours and adore all the elements you brought together so beautifully. Fantastic alteration, hard to believe it started out as a brown bag. Love all the elements. What a brilliant art work, Brenda! Fantastic colours and design! lol i'm back again just to say thank you for joining in with the PanPastel UK challenge blog. Love this bag! WOW WOW WOW what an amazing project. 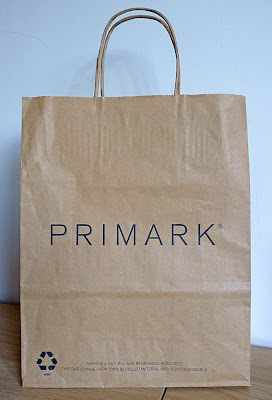 Just love that bag. Well done. Thanks for joining in at PanPastel. 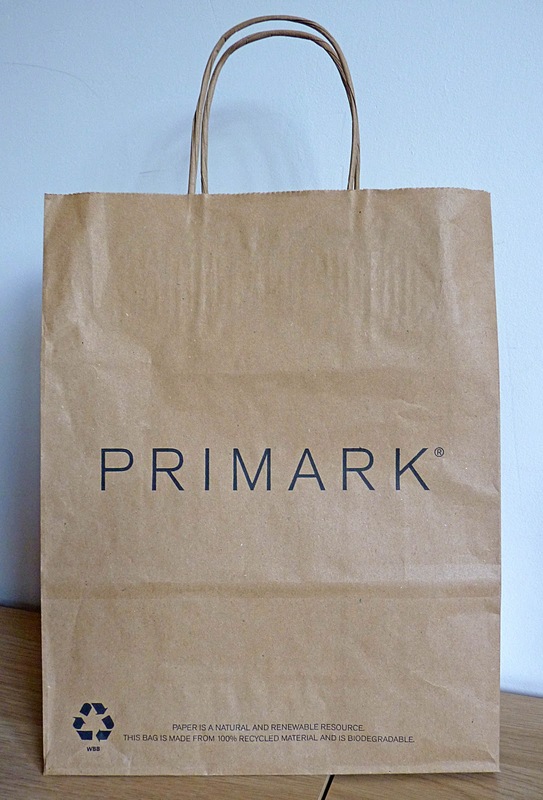 Love your gorgeous gift bag. Brenda that's so clever what a fab idea!!!! I'm soooo glad you shared this idea with us at PanPastel UK. Fabulous Brenda, LOVE your altered bag. 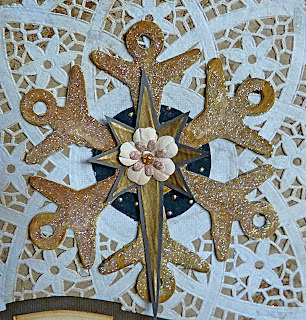 Great images and embellishments. Wonder what goes inside! Wonderful Christmas bag. Lovely colors and layout. 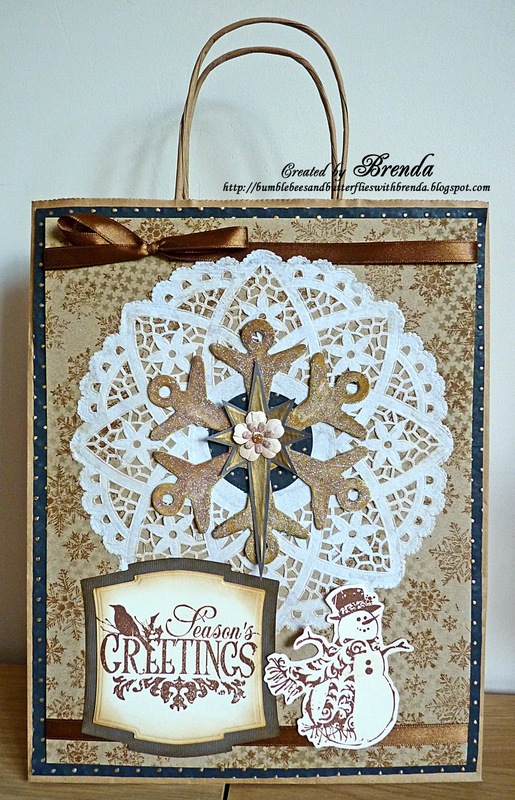 This is a fabulous gift bag, love all the details. Fantastic!!! Very beautiful!! Thanks so much for joining us at PaperPlay Challenges and hope you join us again soon. 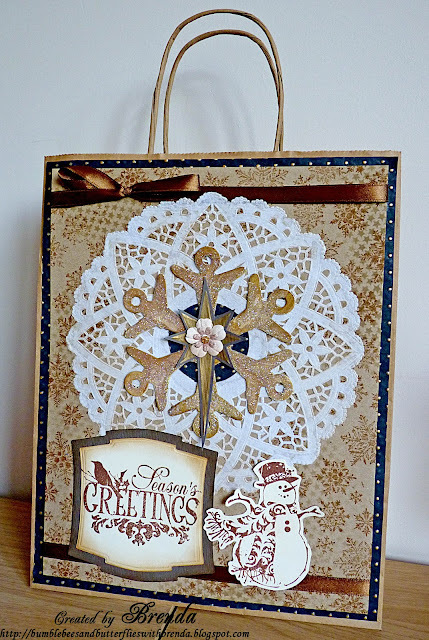 Wowww Brenda this is brilliant what a fantastic transformation, the stamping looks awesome, I adore the colours, snowman and sentiment a superb creation. I love your color scheme. The bag is awesome. I also love your stamping choice. Thanks for playing along with Totally Gorjuss. What a fabulous piece of recycling. This looks wonderful. Thanks for joining us at Secret Crafter's Saturday Challenge this week.